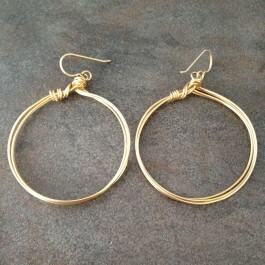 14k gold filled earrings with multi hoops wrapped together for a fashionable classic look. 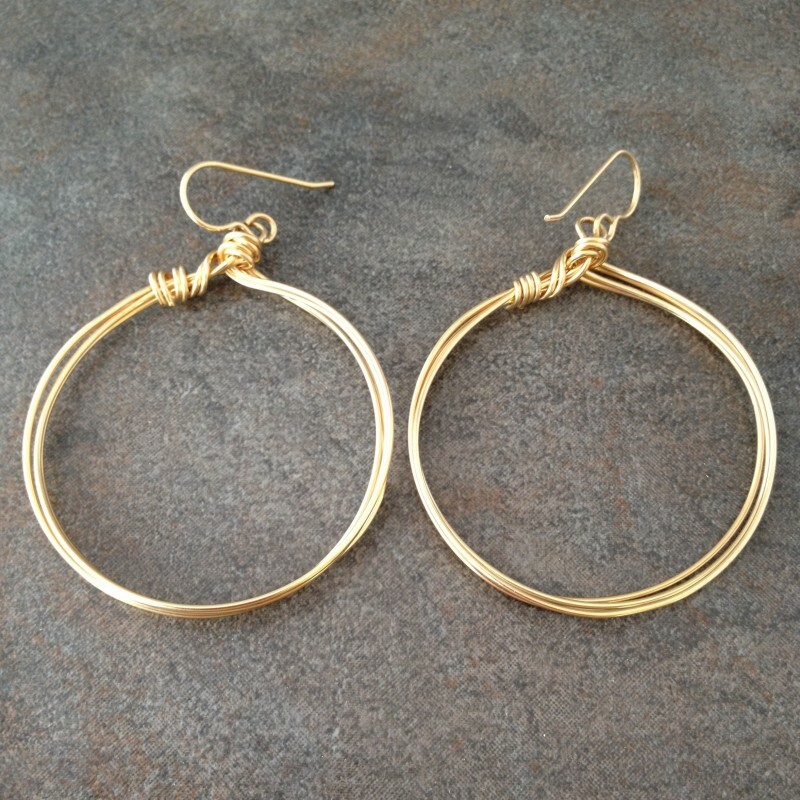 Several rounds of 14k gold filled wire are wrapped together to create distinctive and modern hoops. 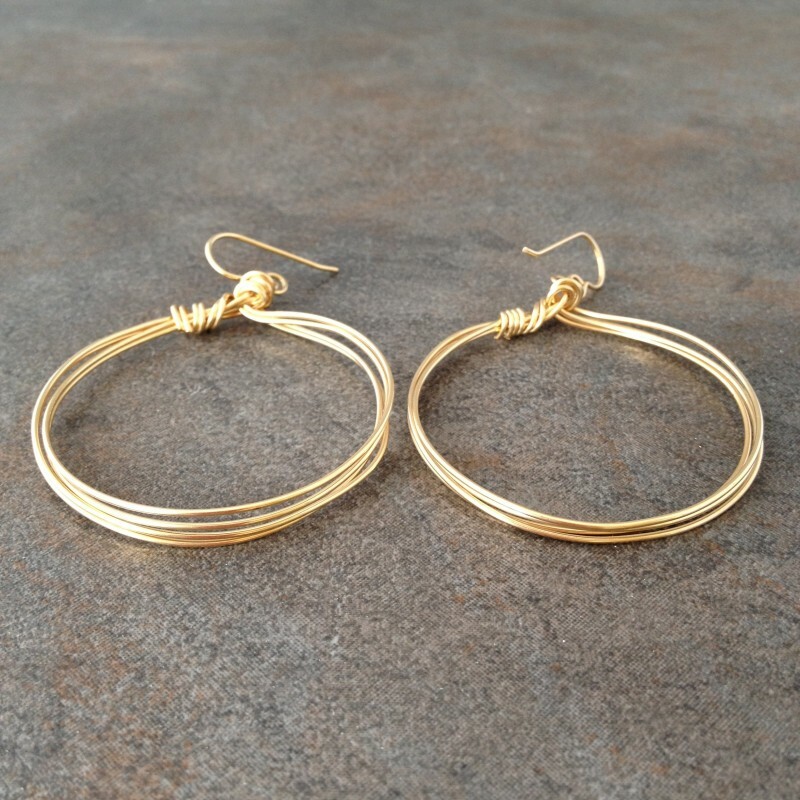 These large earrings are elegant and classic, but with a new fashionable twist. 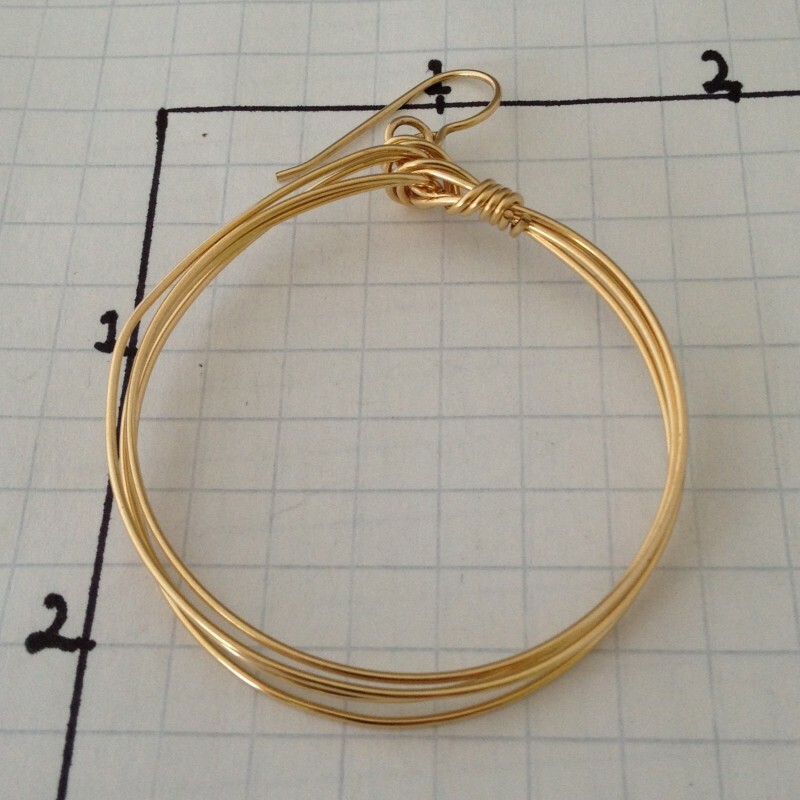 About 2 3/8" long, 1 5/8" wide.